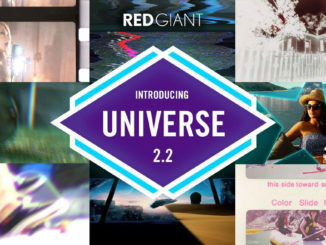 In our previous lesson of our look at learning BlackMagic Design’s DaVinci Resolve, we talked about applying some standard ResolveFX effects to clips in your timeline. In this lesson, I want to talk about how we’re going to get in and animate these effects as well as the standard clip-based parameters that are attached to your clips, so let’s talk about Keyframing now! Keyframes are what drive animation. If you want animation in your effects, keyframes are what you’re going to use to get that animation, and adjusting keyframes is how you’ll tweak your animations to get them looking the way you want them to look. Once you’ve applied an effect to a clip in your timeline, or in our case, if you want to change one of the clip based parameters (CBP) of a clip (we’re going to use Position as an example), you can add a keyframe one of a couple of ways. The first, and easiest way is in the Inspector. Simply press the “diamond” icon to the right of the parameter input window. That’s it. You’ve added your first keyframe. 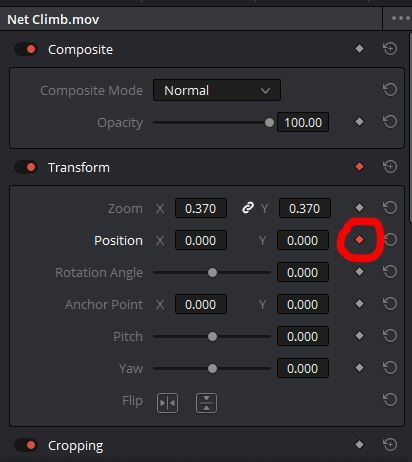 Keep in mind, however, that to create an animation, you actually need two keyframes, but the great thing about keyframing is that once you’ve added your first keyframe, all you need to do is move to the location where you want your next keyframe to be, and adjust the parameter value to whatever you want (by inputting it directly or by dragging the value wherever you want). 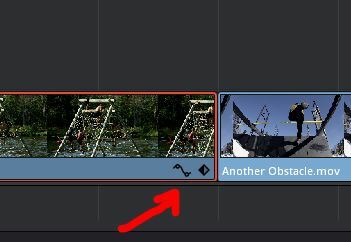 If you’re animating with the standard CBP, you can open up the DaVinci Resolve Keyframe Editor, by simply hitting the little animation icon, in the lower right corner of the clip. 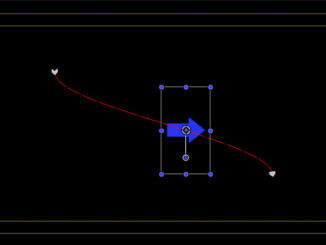 Once there, you can easily adjust the animation curves of any of your CBP, by simply moving the keyframe around. You can also view and hide parameters by clicking on the dropdown on the left side of the clip, and once you do, you’ll see all CBP, and you can add or hide what you need with the click of a mouse. 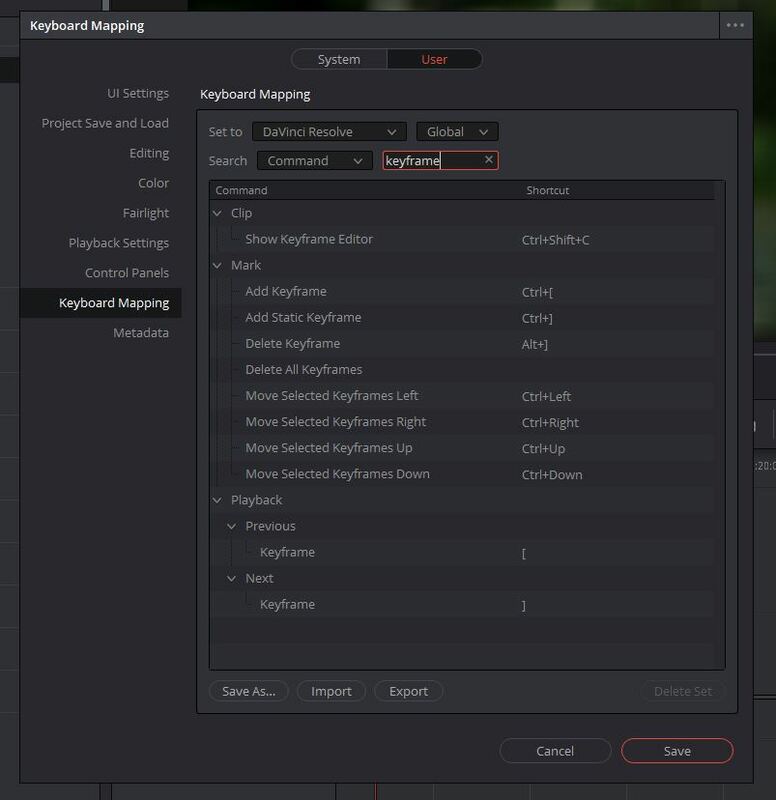 One last thing that I want to point out, is that there are a ton of great Keyframe shortcuts available to you in the Keyboard Shortcuts section of your preferences, so get to memorizing them, as they’re help exponentially speed up your workflow in the long run!